The Ogaden National Liberation Front would like to inform the international community of a humanitarian catastrophe unfolding in Ogaden. People and their livestock are dying as a result of a drought for the second year running coupled with an economic blockade and manipulation of aid and trade in Ogaden by the Ethiopian regime and its regional administration and security forces. The ONLF urgently appeals to the donor countries, the UN and international NGOs to come to the aid of the affected people in Ogaden and take practical steps to ensure that aid reaches the intended recipients. It is essential that humanitarian aid should be made available to all of the population in need regardless of their political or clan affiliations, and the local and international aid organisations to ensure that food and water that they provide are not unwittingly used as weapons of war. The drought is greatly affecting all the regions of Ogaden with water scarcity and depleted food supplies causing death to both people and livestock. We recently have had reports of deaths in the Shabeele region. 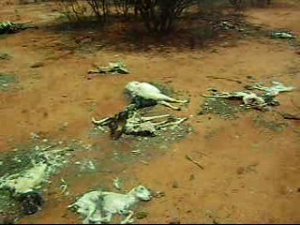 Furthermore, livestock is already dying in all regions of the Ogaden. Rural areas are particularly disadvantaged due to the total unreported embargo on trade and food aid where humanitarian organisations are either severely restricted or completely banned. Many more deaths are likely to occur in the coming weeks and months unless urgent food aid and water is delivered to the suffering people in the affected regions. Although the international community has contributed generously to disaster alleviation in Ogaden and Ethiopia in general, the Ethiopian government policies of collective punishment through restrictions on the operations of humanitarian organisations, trade embargo and forced relocations of rural pastoral communities have severely hampered aid reaching the affected people. This embargo has been in force for the last eight years. 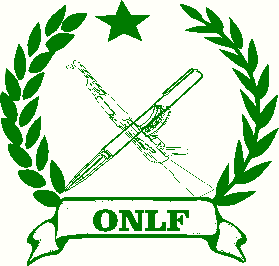 ONLF also call for an urgent UN fact-finding mission to the Ogaden with unfettered access to all areas to assess the extent of the need of the people and the degree to which the government’s policies are exacerbating a climate-related disaster.